The Beach is one of my favorite books, the movie with Leonardo DiCaprio was good too, but the book is probably one of the all time best books to read while you travel. Ever since I read The Beach I have been dreaming of a time when I would be traveling without a plan and all the time in the world to discover My Beach. Not necessary the same beach in Thailand, I wanted to find the idea, a Beach Resort for people who don’t like beach resorts, and I have. I found several actually, and you don’t have to go to Thailand to get there (though you certainly can). GOAL – Beach Resorts in the traditional sense have lovely hotels, with all the amenities, luxurious bathrooms, large buffet meals, all inclusive food and beverage in 500+ room complexes featuring several pools and the obligatory swim up bar. You can stay in any Hyatt, Marriott, Hilton or Sandals to stay in a Beach Resort. I am talking about all the things you want, sun, sand, food, cold alcoholic beverages and none of the things you don’t. You don’t want the price tag of a traditional beach resort – anywhere from $100 to $1000 USD per NIGHT. You don’t want the crowds – 500 rooms means anywhere from 200 to 2000+ people – no thank you! You don’t want the noise – Busy resorts often have busy bars, dance clubs and all night parties, no tranquil moonlit walks for you. On my quest for The Beach I have found several places that come surprisingly close. While you wont have to swim two kilometers, or hike threw Thai marijuana farms you will have to work a little harder to get to these locations. But when finding “The Beach” the journey is half the fun and it wouldn’t be a secret if everyone could get there. 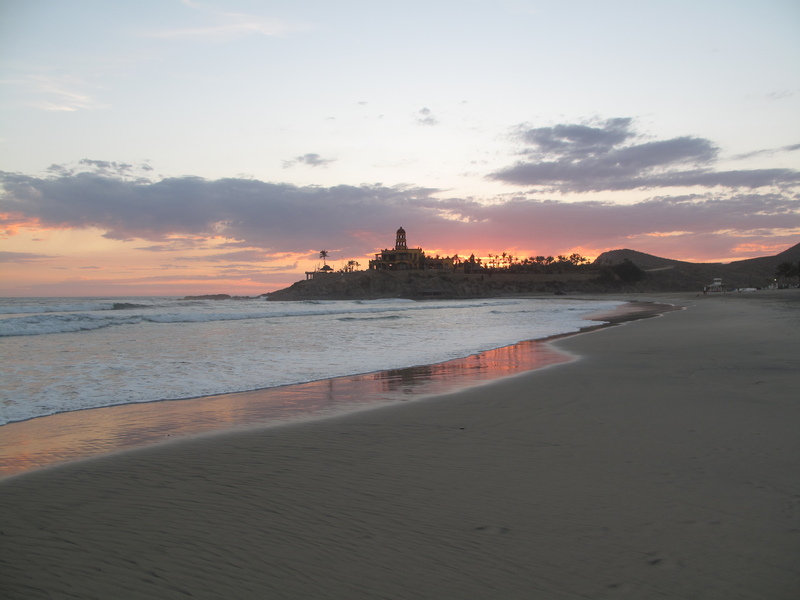 #4 – Cerritos Surf Colony – Only 1 hour north of Cabo San Lucas this is the easiest beach resort to get to, it’s also dangerously close to a traditional beach resort. Stay in the Casa Maya huts, or the Surf Colony cabanas –with kitchen – or splurge for the picturesque Hacienda hotel on the hill. You can cook, eat at the overpriced restaurant or just take your own cooler of beer to the beach. With only one other hotel/condo complex on the entire beach you will have the place mostly to yourself. Closer to a traditional beach resort without the price tag, this is a good quick get away from the west coast of the US. 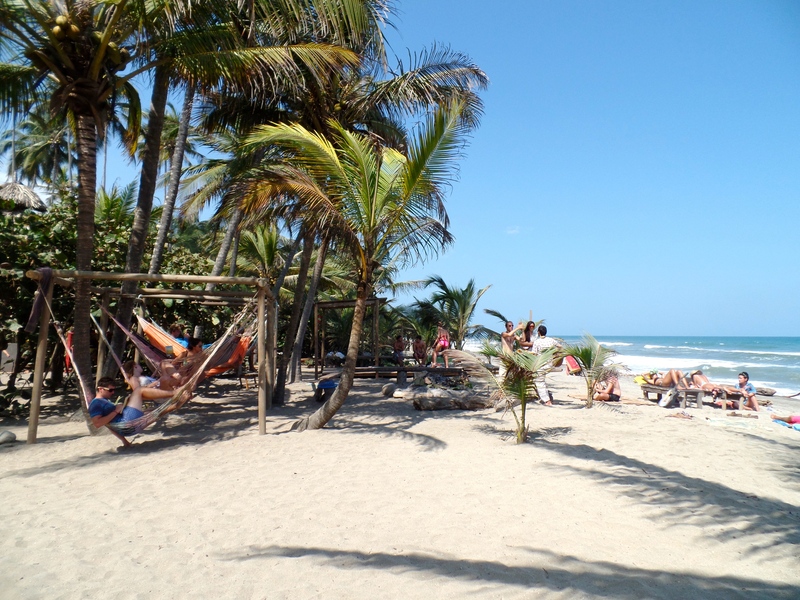 #3 – Las Tunas Tasfiki hotel – This Equador beach is less than one hour drive north of popular Montanita – like leaving Ko Panyang for The Beach – you can leave the party scene behind for this empty stretch of beach only 15km south of Puerto Lopez. Tasfiki “Beach Resort” only has 7 rooms across 4 beachfront cabanas, strong wifi, good restaurant and plenty of icy beverages. The American owners have thought of everything, from a something for everyone food menu, drinking water next to the bed, and my personal favorite a door bell in the beach side pilapa (covered hut complete with several hammocks and plenty of beach toys) should you want a refill on your cooler of beer simply ring the bell. This is more comfort, better services and infinitely more relaxing than any traditional beach resort I have been to. The owners will even arrange for your transportation from Guayaquille Airport (for a price) making it the easiest of the remote beach resorts for you to take a quick week or long weekend vacation. #2 Glovers Atoll – Just think of Gilligan’s Island, it’s a 3 hours tour to the island where there is no power, over the water huts and optional breakfast and dinner served in the main house. Getting here is half the fun; first you need to get to Hopkins Belize, which is a 3-4 hour bus ride from Belize City and the Glovers Island boat leaves on Sunday and returns on Saturday. Accommodations range from camping, to island huts, to the premier over-the-water thatched huts. Once you arrive on this atoll you take a tour of the island that only takes about 15 minutes to walk around and are shown how to find and open your own coconuts, then told to make yourself at home. This island is more like camping than resorting, but with daily SCUBA, occasional wifi (when the generator is on) and nighttime views of passing cruise ships in the distance you can easily relax into Beach Life like Leo, or feeling stranded like Gilligan. 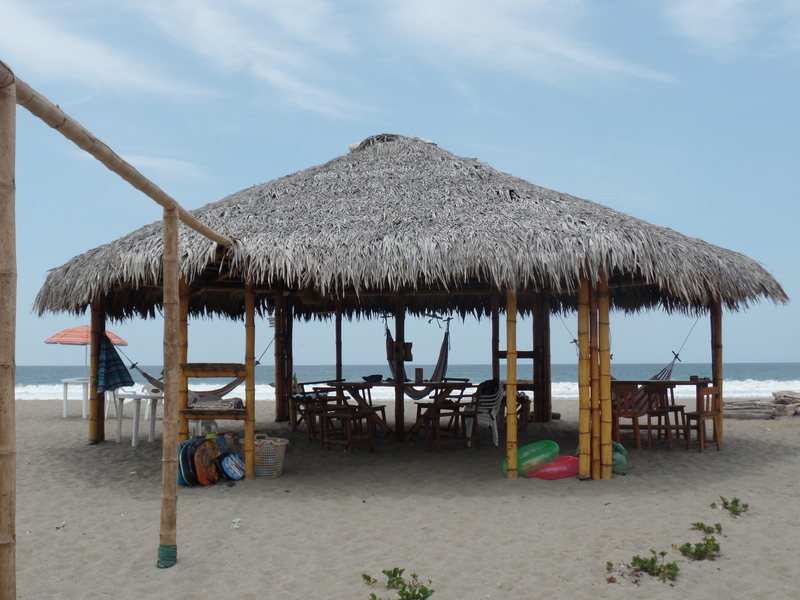 #1 Costeno Beach Surf Colony – First get to Santa Marta Colombia, then take a bus past Troyana Park toward Palomino and get off on the side of the road where you will see an tiny hand painted sign to Costeno Beach Surf Colony. Now walk 45 minute down a dusty dirt road past a banana farm and threw a coconut plantation and you will find a tiny slice of heaven. Costeno Beach is as close to “The Beach” as you can get, it’s a friendly place where travelers tend to get stuck, some staying as volunteers for months. 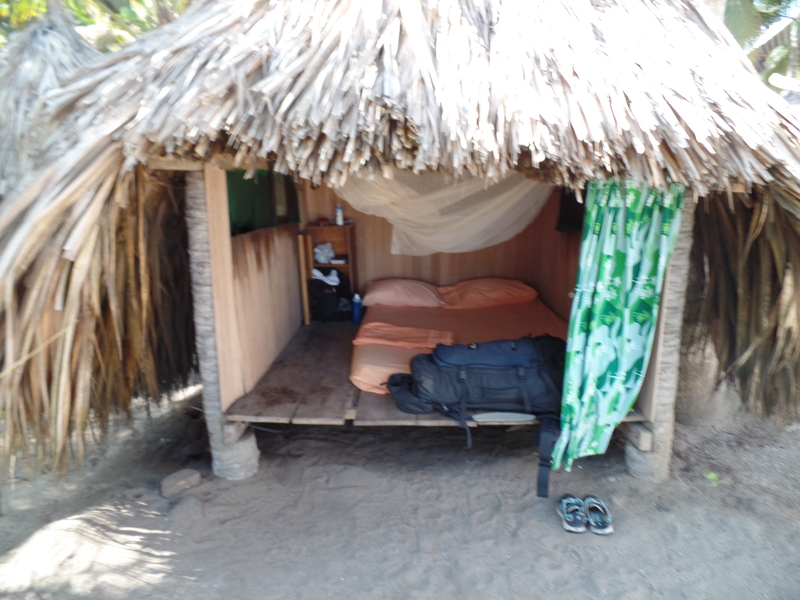 Rent a hammock, a dorm bed, or splurge on one of the 4 thatched beachfront huts for around $30USD/night – bargain. Once you arrive your days slow down, breakfast is at your leisure from 7am to 10am follow by hammock and reading time. Lunch and dinner are served communally so everyone eats around 2 large tables together. For those skilled enough to surf the high short break grab a board and hit the waves when the conditions look right. There is no wifi here, so people actually talk to each other. Rum is sold by the bottle and after dinner the entire camp sits around a beach fire singing, sharing stories, rum and laughter. When I dream of Beach Life, like the book, it’s not just about the sun and sand, it’s about a group of travelers wanting to find a special place, just for like minded travelers, a secret you share only with the truly adventurous. A Beach Resort for those who enjoy the journey as much as the destination. If you have ever dreamed of finding your Beach, let me assure you they exist, all over the world. Trapped in your cubical here is one way to find your beach. Google earth a major beach resort. Zoom out… way out. Look for another beach; ideally 2-5 hours drive from the major resort you were just checking out. Then zoom in on the coastline, see if there is a name of a town, search hotels (they probably won’t show up) and as with “the beach” you will need to take a leap of faith, ask other travelers, use travel blogs and firsthand advise to get off the beaten path and TRY THIS, find your own Beach Resort, for people who don’t like beach resorts.